Weezer frontman Rivers Cuomo showed off his encyclopedic knowledge of alternative rock with covers of Smashing Pumpkins, Oasis, Pixies and R.E.M. songs at a recent solo gig in Los Angeles—watch video of the show below. 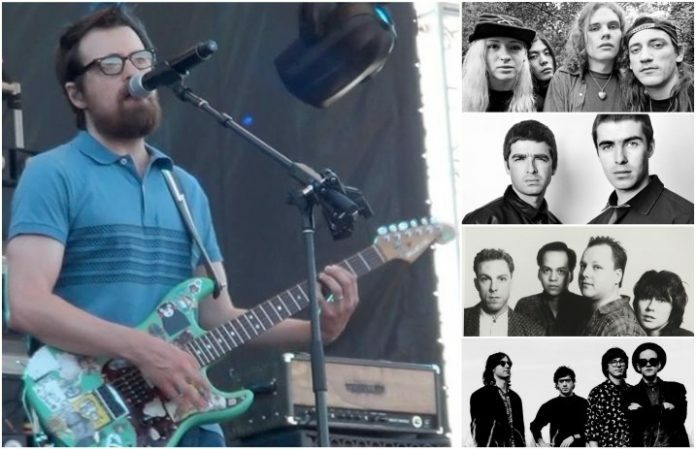 The special concert, dubbed “An Evening With Rivers Cuomo,” found the veteran tunesmith busting out some classic '90s rock hits among intimate, acoustic versions of popular Weezer jams such as “Island In The Sun,” “Pork And Beans” and “Buddy Holly” at The Hi Hat club on Saturday. Not that Cuomo's love for alt-rock has ever been a secret: Weezer previously channeled the Pixies' velveteen dreams with “Velouria” on 1999's Where Is My Mind? A Tribute to the Pixies album (hear it after the solo show vid) and even managed a whole gig of Oasis tunes at a secret 1998 show.